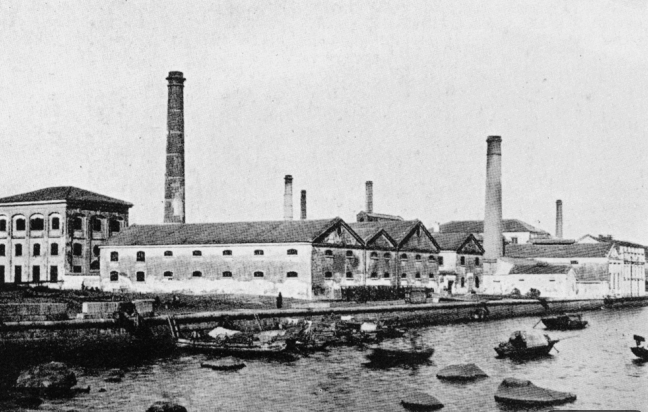 HF: Before 1874, ice was imported [into Hong Kong] by the Tudor Ice Company from America. The sailing ships with the imported ice anchored close to the foot of Ice House Lane [“what was to become Ice House Street”?] and the ice blocks were stored in the government’s Ice Depot. Ice House Street was named accordingly. The factory was built in East Point, Causeway Bay, and the two damp-air machines were replaced by three amonia compression machines. The ice produced was carted to the town depot but [for] shipping it was sent directly by boat, due to its convenience to the harbour.